The “address to the nation” is expected to detail a series of “immediate and concrete” measures designed to appease and calm the movement. An official statement from Mr Macron has been much anticipated. He first announced his intention to speak officially this week on Friday, ahead of Saturday’s “Acte 4” protests across the country, and deliberately waited until after the weekend to so do. 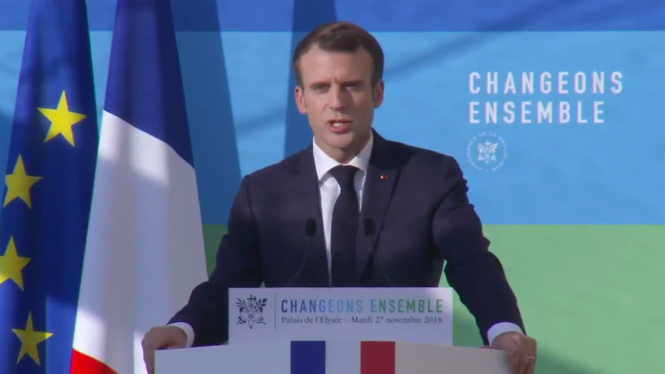 Before the speech, the President is holding a meeting at the Élysée Palace at 10h today, with workers’ union bosses, MP representatives, presidents of the Senate, and of the Assemblée Nationale. Council committee the Conseil Economique, Social et Environnemental will also be present. Mr Macron is expected to present and agree upon a series of measures ahead of his statement. The meeting and official statement come as France continues to recover from another weekend of protests. On Sunday night (December 9), Paris public prosecutor Rémy Heitz confirmed that 1,000 people were still in police custody, including 100 minors. On Sunday, minister for the interior confirmed that over 2,000 people had been arrested on Saturday. But not all protesters came with violent intentions. Two Gilets Jaunes from the South West of France had love not war on their minds this weekend, and have set up a new Facebook Group to help single protesters “find their soulmate”. Élisabeth Hernandez and Cécile Destouesse, Gilets Jaunes protesters from the Landes department (40; Nouvelle-Aquitaine) - who have been protesting at the Gallières péage for the past three weekends - set up the “Adopte Un Gilet Jaune 40” Facebook group (Adopt a Gilet Jaune in the Landes) to help. Set up on Saturday (December 8), the Group now has over 2,680 members. 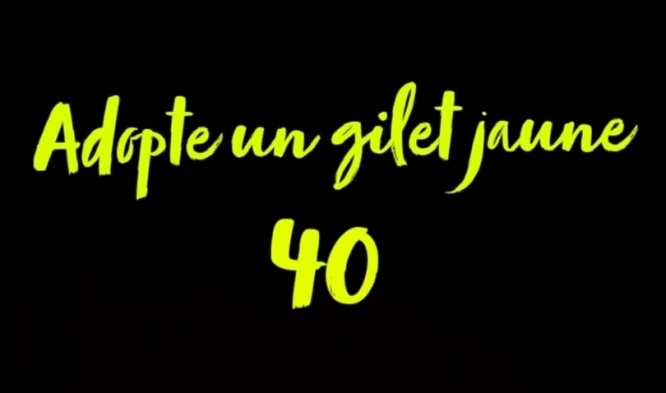 This is not the only act of love inspired by the national movement; on Saturday, a Gilets Jaunes couple got engaged during their protest, after one said yes to the other’s proposal outside the péage at Séméac (Hautes-Pyrénées).